Healthcare is expensive. In fact, Americans spent $3.5 trillion on health expenditures in 2016, the most recent year statistics are available for. As more people enroll in high deductible insurance plans, individuals’ out of pocket costs for healthcare are growing significantly. But there’s another factor that may be increasing your healthcare costs—errors on medical bills. Experts says that between 30% and 80% of medical bills contain errors and an audit by credit rating agency Equifax found that for hospital bills totaling $10,000 or more, there was an average error of $1,300. There are a number of reasons for the increasing number of errors on medical bills. The system that doctors, hospitals, and other healthcare providers use to classify diagnoses, symptoms, and procedures performed, known as ICD codes, grew from 24,000 to 155,000 a few years ago. 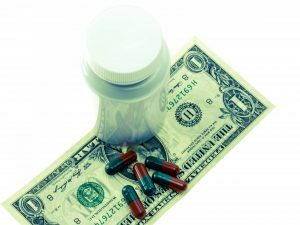 The codes were added so that more specific information could be gathered, but the change also had the unintended consequence of exponentially increasing the potential for the use of incorrect codes on medical bills. Another contributing factor is the use of healthcare providers outside your insurance network. These providers are not bound by the fees that in-network providers have negotiated with the insurer and also frequently use different billing codes and service descriptions, making billing more subjective. Some don’t use ICD codes at all. If you do find errors on your medical bills, contact the provider and your insurance company and explain the errors before you pay the bill. If there are a number of significant errors on the bill, arrange to meet with the provider’s billing department to discuss the mistakes. There are also medical billing advocacy firms that can negotiate with providers on your behalf to get the errors corrected. Some employers offer this service as part of their benefits package, but you can also hire an advocate on your own.